Caregiving is rewarding but stressful. According to a 2015 study conducted by the National Alliance for Caregiving (NAC) and the AARP Public Policy Institute, nearly 40 million U.S. adults have provided unpaid care for another adult in the past 12 months. Because caregiving carries a unique set of challenges that can wreak havoc on your body, spirit, and mental health, treat yourself with kindness when feelings of anger, stress, frustration, and depression threaten to overwhelm you and cause burnout. Those emotions are normal — and when you’re stressed, it’s important not to self-medicate with addictive substances but rather to take a step back. Breathe. Give yourself permission to step away and take care of yourself. If you find yourself experiencing any of the following symptoms, it may be time to step away for a little while. You may not be able to care for your loved one. When you neglect your own self-care, your health can diminish, leaving you unable to act as a caregiver. Your quality of life may decrease and you may lose friends, especially if you’re part of the “sandwich generation,” where you’re raising a family and taking care of an older parent and have little time to spare. You might not live as long. One study published in the Journal of the American Medical Association found that people experience caregiver stress and strain are 63 percent more likely to die prematurely than non-caregivers. Has it been so long since you thought about yourself that you’re not sure where to start? Feeling guilty about spending too much time on self-care? These ideas may help. Take regular breaks. 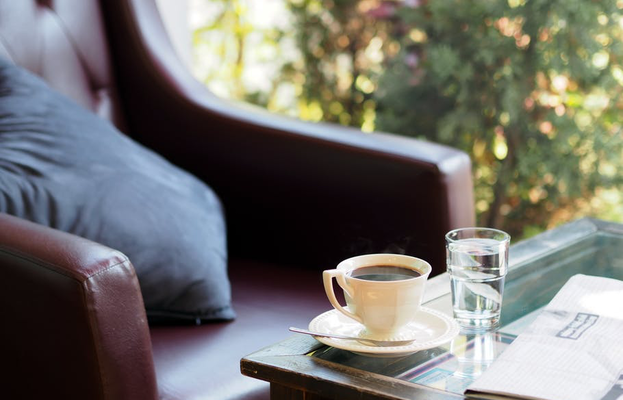 Whether you’re spending the majority of a day caring for someone else or working a full-time job and then assuming caregiving duties in the evening, take breaks throughout the day and evening. Stay active. Aim for 20 to 30 minutes of activity three or more times a week. Hit the gym for a spin class. Schedule an evening “walk date” with your partner, neighbor, or friends. Want something a little more low-key to help you relax? Try yoga or tai chi. Eat well. It’s so tempting to grab and live on fast food when you’re rushing from one place to the next. But healthy, nutritious food keeps your energy up, boosts your immune system, and helps maintain a healthy weight. Sleep. Don’t skip sleep -- it’s critical to feeling well physically, mentally, and emotionally. Create a sleep routine that works for you; if you’re feeling cramped on time, claim the hour or 30 minutes before you sleep as yours for a warm bath, a cup of tea, meditation, or a good book. Stay connected to friends. Laughter’s the best medicine — it’s cliche, but true. And sometimes, it’s all that keeps you from crying. Reach out to your tribe and build your network. Even if it’s a flurry of funny texts or a running conversation on Facebook Messenger, it’s a connection to the outside world that keeps you from feeling isolated. Take time off. Don’t feel guilty about asking for help. That includes connecting with an agency that provides respite care or coordinating and sharing caregiving duties with other family members, trusted friends, or members of your church community, for example. Time away to do something you love gives you an opportunity to recharge and refresh your whole self. Need other suggestions? Check out these self-care tips designed to help you avoid caregiver burnout. For additional resources on caregiving, whether you’re preparing to start or have cared for someone for a while, visit this site, which lists organizations with a wealth of information on supporting those who need help while not neglecting your own self-care. There comes a time in everyone’s lives when they start aging and eventually are forced to retire at a certain age whether by choice or from the lack of characteristics they once had. When the time comes though, most of the elderly population tend to have more free time in their hands to carry out many activities daily. However, even if they have all that free time to spend, they might not possess the physical or mental strength they used to have in their younger years to enjoy such activities anymore (e.g. extreme sports or exercises). In addition to that, as mentioned in previous blog posts, as you age your health may start to decline and many illnesses or conditions may present themselves and affect your body. Most families that face this problem tend to hire a caregiver to take care of their loved one while the family members go out to work or carry out their daily responsibilities. With that being said, some elderly citizens do not have illnesses or conditions that leave them bedridden but are just in need of some company from the caregiver while they continue being independent. Therefore, a certain level of cooperation is required from both the caregiver and the one being cared for to ensure both parties are satisfied and happy with each other in doing what they want. Here are some fun things caregivers can do with the elderly to keep their bodies and minds active while maintaining a healthy relationship with each other. Staying cooped up at home for long periods of time without much to do is not a healthy choice of life and may lead to depression in some severe cases. Whether your loved one is a physically active person or not, it is good to enjoy the great outdoors once in a while and breathe some fresh air for a change. They do not necessarily have to do any heavy duty activities like hiking or cycling but simple activities like taking a walk, doing some tai chi or gardening would be beneficial to the body. Although some people are worried that their elderly loved ones will be more prone to injuries in the outdoors, outdoor activities can actually strengthen the bones and reduce the risk of falling. In addition to that, the caregiver can assist or keep an eye on your loved one to ensure they do not get harmed in any way. As you get older you tend to reminisce on the good times in your life, and more often than not you start to wonder about your friends or relatives that you were once close to, but rarely keep in touch now. Free time from either retirement or recovery periods can be used to re-establish friendships with former acquaintances. Your loved one can be encouraged to get in touch with their old friends and have meetups over tea or meals with the aid of a caregiver. This helps to make them feel less isolated, from being left with a caregiver, as well as to improve their morale and self-esteem. Most of the senior citizens in this era usually come from a generation that have either lived with less technology or have gone went through a period of technological transition over the years. This eventually led them to cultivate hobbies such as gardening, drawing, sewing, knitting and many more. Motivating your loved ones to try arts and crafts will promote creativity and bring back the nostalgia of their childhood days. Even if arts and crafts were not part of their childhood years, it is a good time to start learning or trying new things. This new learning adventure could lead them to make nice presents during the festive seasons, or even better still, to initiate a new business opportunity during their golden years! 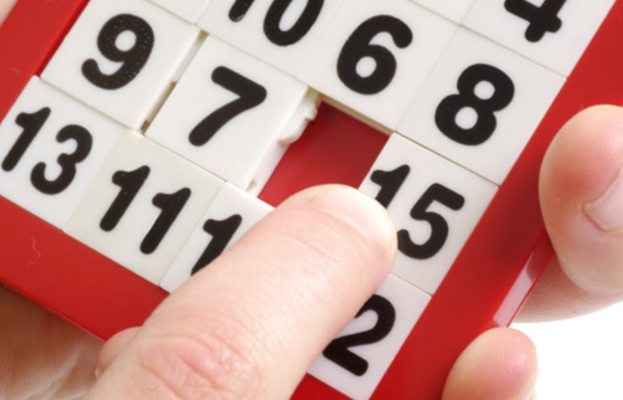 Caregivers can engage senior citizens by challenging them to a few board games or puzzles to keep their minds active. Most board games or puzzles produced by companies are usually user-friendly and have relatively simple rules or game instructions that is not difficult for the elderly to follow. Another plus point would be that most of them are pretty portable to bring around so they can be played anywhere and with anyone. ‘‘No man is an island’. As one ages and the number of family members, friends and relatives dwindle, companionship becomes more of an invaluable asset then a basic need for the elderly. Nowadays, more children are living in different states or different countries, occupied with their careers and daily chores, leaving an empty nest which often leaves our parents alone to cater for themselves. Think social media and smart gadgets are the answers to replace companionship for the old folks in this new age of information technology such as Skype and Facetime, probably we should think again by looking at the importance of companionship for the elderly citizens. Studies show that older adults who are lack of companionship and feeling lonely are at greater risk of physical functions, such as stroke, heart disease, poor immune functioning and high blood pressure, and degrading cognitive abilities, like a greater risk of memory loss. In fact, there is also evidence that people with signs of being lonely could be at risk of death or suicide. Companionship is fundamentally essential for elderly to avoid them ending up with anxiety or depression, to fill their latter days with cheerfulness, as well as maintaining and preserving their cognitive abilities. Now that we know that companionship is equally important for elderly as well as for the younger generations, the next question to ask would be how do we go about to cater some sort of companionship for them.For elders who are independent, they will usually like to meet another elderly person to reminisce about the ‘the good old days’, to share about their family’s problems, to play a game of chess or just to ‘yum cha’ for a few hours. For senior citizens who are less independent, and are in a nursing home or in their own comfortable zone at their own homes, caregivers are the ones who will be most suitable to accompany them. 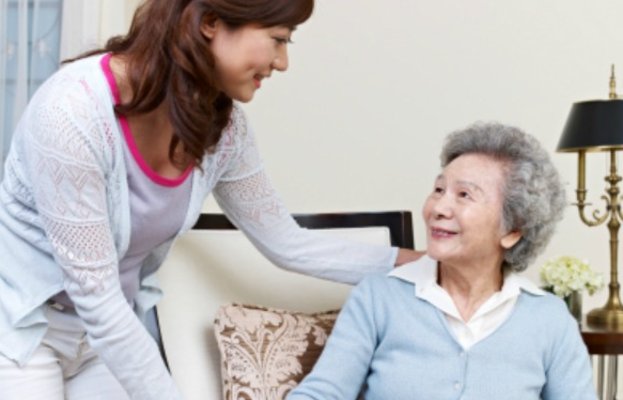 According to PILLAR, a Kuala Lumpur-based platform that specialises in elderly care, a certified, trained and professional caregiver must be trustworthy, has a clean criminal and service record, physically and mentally healthy, reasonably young and able to communicate and understand the needs of the elderly. The rapport that the caregiver provides whether for a short or long period is eventually essential for the elderly person. Even spending one to two hours going for a stroll, having a cup of tea, buying medicine or simply listening to them, can brighten the day of an elderly person. Our parents, and all elders for that matter, have done a lot for us without asking anything in return. As a filial member of the family, we see it befitting that we ensure there is sufficient companionship during our absences by providing the appropriate and legal set of people, company or environment to combat their old age blues. Homebound elders who are unable to prepare their own meals or have a caregiver to assist them with meals are now able to engage home meal delivery services. These service providers are able to prepare healthy and nutritious meal options, catered specifically to dietary requirements of the elderly. Meal delivery services are able help keep elders, who do not require much care assistance, out of nursing homes and remain at the comfort of their own home. This also helps caregivers who often do not have enough time to buy and prepare balanced meals while taking care of their loved one's medical needs as well as other responsibilities. As we age, hospital and doctor visits will tend to be part of our regular routine. Now, there are service providers that bring the hospital to our homes. One service being offered is home lab tests services--this is a quick and easy process where a qualified doctor/nurse/phlebotomist collects the patient’s samples, all from the comfort of their home. They then transfer the samples to the laboratory and the results of the lab test will be sent to the patient via email. Patients are able to avoid waiting in long lines at hospitals or doctor's offices as well as the stress from travelling, which can be particularly taxing if a patient requires regular lab tests or body health check ups. Your doctor is now a phone call away! Whether it be a general check up or a specific care need, you will be able to avoid the stress of travel and the wait for your regular doctor to be on duty. You also do not have to wait in long lines to see your doctor. Not only will you save time, but this usually means your doctor will get to spend more time with you and not rush through your health concerns in a 15 minute appointment. Knowing your doctor is only a call away is surely to keep your mind at peace. As we age, our bodies change; we lose strength and our mobility gets more restricted. Whether it be for preventative measures or if specific physiotherapy interventions are needed, a physiotherapist can now come to you. You can avoid the difficulties of travelling to and from appointments. This is especially convenient for service users who are less physically able. In addition, by having the physiotherapist over to your home, they would be able to assess your home for fall risks and accidents. They can then come up with specific fall prevention plans to keep patients safe as well as reduce the risk of injury, which, at an older age, can be hard to bounce back from. 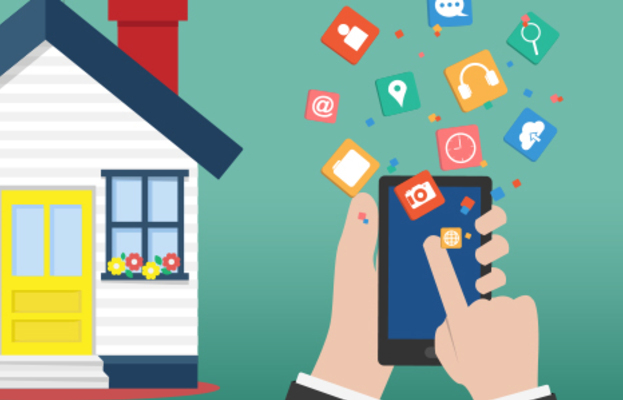 As home services become more prevalent and easily accessible, it will be easier for the elderly to receive the care they need and deserve; ultimately ensuring the best quality of life for our loved ones. It is known to a certain degree that your immune system declines as you continue to age therefore leaving your body more vulnerable to infections. This causes quite a number of health issues especially in the elderly population, requiring them to take more medications and supplements to compensate for the weak immune response. However, as the saying goes, too much of a good thing can be a bad thing ; the same goes for medication. Having the need to consume a wide variety of medications to maintain their health can be a challenging and tiresome effort. In addition to that, unlike younger patients, elderly patients have a lower metabolism and are unable to metabolize the drugs out of their system as fast as their younger counterparts. Here are some common medication issues related to the elderly and ways to solve them in order to prevent any harm from occurring. Problem: Have you ever heard your grandparents or any elderly person tell you to eat or drink more healthy food or drink because it’s supposedly good for you? The same thing sometimes applies when it comes to medication for some of the elderly population. For example, some of them consume paracetamol even for a minor headache that can go away with a bit of rest. What some of them do not understand is that medication is good for the body if taken in moderation or whenever necessary to prevent accidentally overdosing themselves. Solution: Medication prescription should be monitored as well as watching out for signs of overdose such as oversedation, mood swings and running out of medication at a fast rate. Problem: Prescribed medications sometimes have similar names to each other especially when the prescriptions are written in small fine print. Besides the immune system, other systems of the body are usually affected as we age, such as deterioration of vision and memory. Vision loss, such as long or short sightedness and astigmatism, will cause them to misread the labels or prescription of their medication. In addition to that, memory loss will make them forget to take their medication on time or even to accidentally take an additional dose. Solution: Medications that need to be taken should be kept well and organized in pill dispensers labeled with the day and time of consumption. It would also be nice to have someone with the patient such as a caregiver, nurse or even a family member or close family friend who can monitor the medication consumption in case there were to be any changes in terms of consumption time or dosage taken. Problem: As it is usual that the elderly tend to take a wide range of medications for their health, there is no doubt some of those medications have to be taken at the same times of the day (e.g. one pill three times a day after meals). Some medications are not meant to be mixed and most of the time family members with minimal medicine-related background would be unaware of this. In addition to that, some families get medications prescribed for their loved ones at various pharmacies. They tend to consult various pharmacists or specialists who do not have prior knowledge about the history of medications consumed by their loved one. 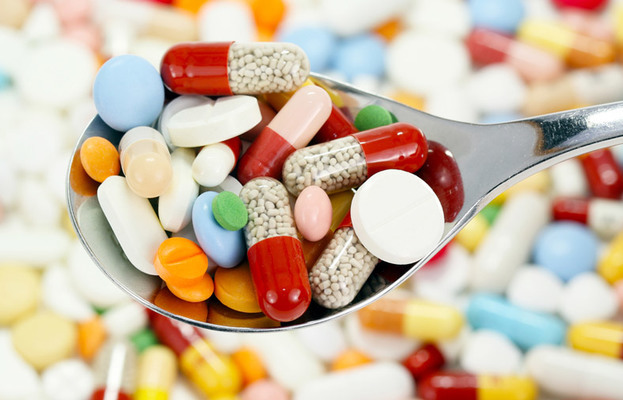 Besides that, food and drug interactions may cause redundancy in medication consumption. For example, foods high in vitamin K will render blood thinning medications ineffective when consumed because it promotes blood clotting. Solution: Pharmacists or specialists consulted should be notified about all the medications or supplements taken by your loved one to ensure a proper prescription is given. If there are any warning labels or instructions that come with the medications given, do give them a thorough read and ensure your loved one is notified about them. Your doctor or specialist that takes care of your loved one should also be addressed should there be any concerns about food and drug interactions. Problem: There have been instances where medications were rendered ineffective after a certain period of time due to wrong drug administration route. For example, not all pills are meant to be consumed orally; some of them are meant to be taken sublingually. Some patients might also opt for consuming liquids that are meant to be administered intravenously due to fear of needles or injections. Solution: If there are any usage instructions that come with the medications given, do give them a thorough read and ensure your loved one is notified about them. Guidance should also be provided to your loved one in the event that they are unsure on how to administer their medication or if they require assistance. Have you ever had a loved one or maybe someone you’re acquainted with receive treatment for their afflicted conditions in the hospital? At some point in our life we’ve been to the hospital for someone we know who is undergoing either a surgery or therapy and managed to make it out of it with just the recovery period to worry about. A lot of the times most of these patients, especially the elderly population prefer to go home as soon as they can to recover there most probably to reduce hospital billing and for the comfort of their homes as well. However, some of these patients require follow-up monitoring and care to ensure a better prognosis which eventually leads to hospitals or even the patient’s family itself to acquire a caregiver if they are still insistent on staying at home. 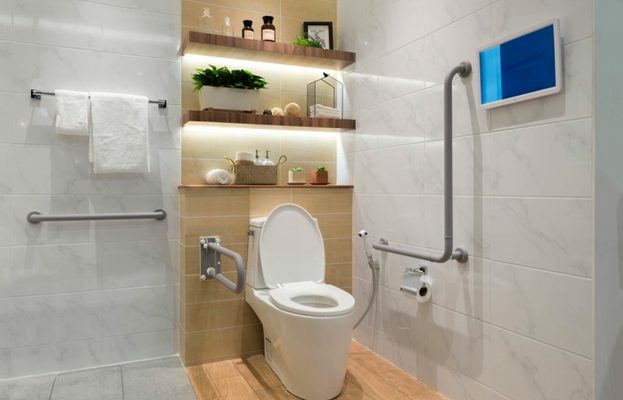 Therefore, it is important to ensure the environment at home is well adapted to ensure the caregiver can perform well as well as prevent any harm or hazards occuring to your recovering loved one. Here are some suggestions of things you can do or at least keep track of while having a caregiver at home monitoring your loved one. This isn’t indirectly saying the caregiver or nurse assigned to your loved one is incapable of remembering or performing well. Sometimes it’s better to be safe than sorry and we are all just humans by the end of the day. Go through the needs of your loved one with the caregiver or nurse on occasion if needed and be specific if your loved one needs any specific needs for their recovery e.g. frequent wound dressing changes or medical equipment monitoring. The caregiver or nurse assigned should also be aware of medication prescriptions your loved one is supposed to take and ensure they are administered, taken and stored properly. This process varies from person to person’s condition but it is important to ensure the house is safe for both the caregiver and your loved one to live in. For example, if let’s say the patient had just undergone a knee joint surgery and is unable to climb the stairs to their room, as a family member you might opt to switch their bedroom from s upstairs to downstairs. Another example would be if your loved one requires special equipment or devices at home to aid them e.g. nebulizer or medical device then it should be prepared at home after consulting their doctor about this. The pantry should also be stocked up with foods suitable for the patient as most of the time patients who are recovering from surgery or therapy usually require a protein rich meal to aid in tissue repair. It is important that the family of the patient takes part in the recovery process to ensure the patient feels loved and backed up with family support. Even if they are unable to take care of the patient often due to their busy lives, it would also help if they ask the caregiver or nurse about updates regarding the recovery of their loved one. This helps prevent the caregiver or nurse from continuing any activities or deeds that might make the patient uncomfortable or put them at a risk that they do not know about. The caregiver or nurse should also be given an emergency contact number in case anything were to happen to the patient and the family members should be notified immediately. A nursing home or home care? As individuals who age as time passes by we know that at some point in our lives we will eventually need a new level of care that needs more than just family and friends involved. When the time comes for you to decide how to help your elderly loved ones through their difficult moments, the decision made may not be an easy one to make. How do you know choosing between a nursing home or opting for home care may be a good decision for both the happiness and comfort of your loved one and your family? Here are some pros and cons to help you decide between the two. A nursing home is a residential area set up with facilities along with a live-in professional medical personnel that assists the elderly and keeps them in check around the clock. 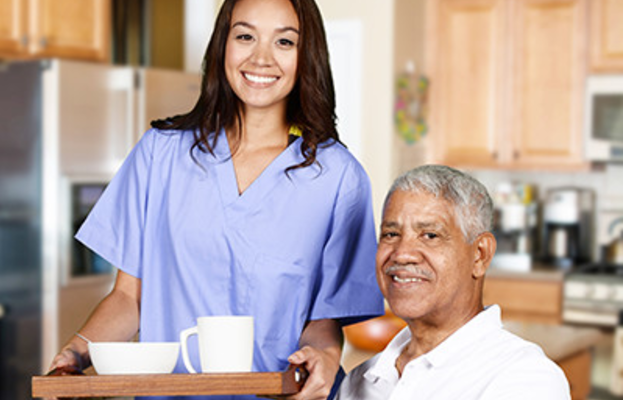 Home care involves care given by trained professionals that can range from companionship and self-care assistance to simple medical assistance given either by a caregiver or a nurse. How do we make our homes safer for the elderly? It is a rather obvious fact that as you age, your body is unable to maintain its physical fitness that you had during your younger years. Although it has also been proven that some of the elderly manage to retain their finesse and grace by doing exercises that promote stamina, most of them eventually develop certain conditions or illnesses over time. Some of these conditions or illnesses may affect one or some of the five senses in the body and this will eventually lead to injury hazard. For example, the deterioration of sight and sound will cause the elderly to not be able to see or hear hazard warnings as clearly as before and eventually leave them vulnerable to danger. Therefore, it is very important to ensure your loved one is kept in a hazard-free environment while ensuring they are comfortable at the same time. Considering the fact that most of the elderly population likes to stay at their respective homes, their home is the most ideal environment to begin safety regulations. Even though they may know where everything is at home, however many accidents tend to happen due to clumsiness or letting your guard down at potential household hazards. Installing grab bars or handrails in the bathrooms can help prevent falls if there were to be water slips or in case of sudden drowsiness. Besides that, wall-mount shower heads can be replaced with handheld shower heads on a hose as a safer measure. This helps to prevent water from suddenly splashing on their heads which could give them a severe shock. Even if they were able to monitor the water flow by continuously looking up, it wouldn’t be a good thing either because the water might splash into their eyes upon turning on the shower. The floors should not be slick or slippery during times when your loved one might want to walk around to do their daily activities. Even if maintenance needs to be done on the floors such as waxing, polishing or mopping, the elderly in the home should be notified to prevent them from walking around too much. Rugs or loose mats that may tangle the feet or have low amount of frictional force against the floor should also be disposed off. Contrasting colour mats should also be used to aid the elderly in differentiating areas to step on e.g. white mats on a black or brown parquet floor. Extension cords and other potential tripping hazards that may present themselves on the floor should also be kept away safely. The house should be well illuminated in order to aid the elderly vision as their sight deteriorates with age. However this does not necessarily mean changing the entire house into a light shop and becoming the brightest house in the neighbourhood! Instead, carry out regular check-ups and maintenance to ensure the house lights are functioning well. Adding more lights in areas that your loved ones frequent can also help e.g. if they enjoy sewing then add more lighting into the sewing room or areas in the house that they frequent. This may be done by also observing your love one’s walking habits to know which areas do they directly or indirectly pass through a lot at home. Another more innovative approach is by installing wireless LED lights that detect motion as you pass through different parts of the house. Although some may say adding more lighting to the house will increase the electricity bill after some time, the real question here is would you rather pay a double or triple digit cost increase in electricity bill or a ten to hundredfold cost in medical bills? Although most family members are hesitant about leaving their elderly loved one at home alone and personally would prefer to have a caregiver around to help, some of the elderly population prefer to have their own independence. In situations like these, special devices may be installed around the house to ensure the safety of the elderly. For example, a door monitoring system or CCTV may be added to the front gate to ensure that your loved one is not exposed to any strangers or con artists upon responding to the doorbell. Besides that, a medical device should also be given in case of emergency health situations e.g. if your loved one suffers from occasional asthma attacks. The medical device can trigger a call which will alert paramedics as well as contain a GPS system in case your loved one has fallen unconscious and is unable to respond. Smoke detectors can also be installed in the kitchen if your elderly loves to cook a lot. This is helpful as some recipes passed down from generations may require lots of cooking methods that might produce too much smoke that is dangerous in addition to the hot weather in Malaysia nowadays. In this modern era, most of us are struggling to make ends meet by working longer hours than our grandparents or parents ever did to make up for the increasing cost of living. This causes us to spend less and less time at home from spending most of our time of the day working and accommodating to hobbies or social events on occasion. Therefore, it’s no surprise that quite a number of houses have a caregiver to take care of their elderly or a maid to take care of the housekeeping duties. However, the real question is, is a maid and a caregiver one and the same? Also, does a caregiver and a nurse have the same job scope? It is important to know these differences to recognize the efforts of people working as said professions as well as give them the respect they deserve from taking care of a significant part of people’s lives. As humans, we tend to notice that as we continue to age, we are unable to continue doing some of the activities that we liked to do when we were much younger e.g. sleeping late burning the midnight oil or extreme sports. This applies to the elderly as well who also experience other issues such as declining health and need either long-term care or end-of-life care. However, majority of the elderly population prefer to stay at the comfort of their own home than be sent off to nursing homes or hospital settings for caregiving. In light of this matter, many agencies have been established in Malaysia to aid families that are concerned in this matter. Despite this effort, many families still feel the need to filter the characteristics and requirements of the caregiver provided by such agencies as part of safety measures if said caregiver were to spend a lot of alone time with the elderly at their homes. Here are a few tips on how to select the right caregiver for the comfort of your loved one at home. Most caregivers have a similar set of skills that allow them to be a professional caregiver but specific needs can only be fulfilled by certain caregivers. For example, if your elderly needs help with medical needs such as wound dressing or tube feeding, a nurse would be more suitable than a caregiver. 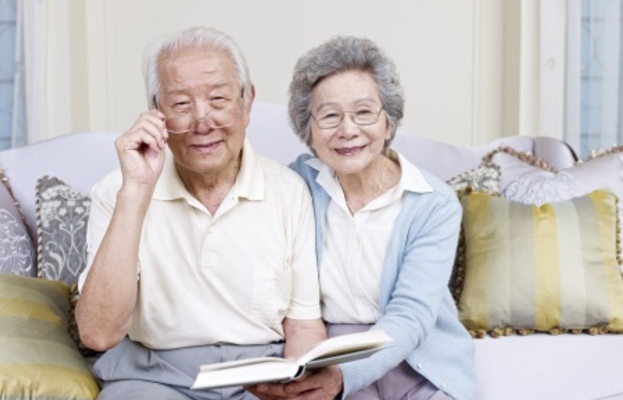 Therefore, it is important to know the needs of your elderly such as health care, personal care and household care. Agencies involved in the caregiving process would usually have a simple profile of each caregiver to keep track of each and every one of them. Families interested in having a caregiver in the family for their loved one can do a simple review on the profiles provided and run their own background checks as well if necessary. Besides that, agency or company reviews either on online platforms, social media or word of mouth are also helpful for families who are new to the idea of hiring a caregiver. Families should also specify any specific jobs or needs the caregiver needs to provide for the elderly to ensure both parties can carry out their duties with ease. Interviews are a good way to interact with the caregivers you’re interested in to take care of your loved one. This helps to assess the personality and attitude of the caregiver which can be seen through conversations or body language to see if they are really as what their profile describes them to be. It also helps to make sure both parties are on the same page when it comes to the responsibilities, expectations of care and needs of your loved one. It also helps if another family member or close friend is present during the interview to allow a third person point of view or opinion about the caregiver before making the final decision. Sometimes, it's not just about skills. Families should take the time to see if the caregiver's personality is a good fit. Just because you have hired a caregiver for your loved one does not mean that it’s the end of the process. You still need to ensure they are carrying out their duties and responsibilities as mentioned during the selection process. Spend some time to personally assess the caregiving process or get daily reports about your loved one from the caregiver at the end of the day. You could even get a family member that is at home more often to do so if you’re not as free to do it frequently. This helps to ensure your loved one has a good relationship with the caregiver as well as monitor the health progress of your loved one. As people age into their golden years, more often than not they will end up visiting the hospital for health conditions ranging from falls to strokes. For severe cases of hospital visits, the elderly would normally be admitted for a few days up to weeks and it often results in a need for lifestyle changes for them. However, not all hospital discharges result in the elderly resuming their normal lifestyle as some of them require further follow-ups on progress as well as a certain level of professional care family members are usually unable to provide alone. Upon knowing that, some of the questions family members usually have in regards to that matter: How will the discharge be carried out? What do we need to know about our loved one’s care needs? Where will they live to get professional care besides the hospital? When will my elderly loved one be discharged? One of the factors to consider before the discharge of elderly patients is their health condition. Your loved one’s care team must be satisfied that their patient is well enough to leave without the need of returning for more treatments and just occasional check-ups. Besides that, accommodation is also taken into consideration whereby there should be proper care or alternative support is provided to allow them to return home safely. A treatment plan will be devised first whereby the patient’s relevant health information, medication or therapies and hospital visits or stays will be documented with the consent and guidance of the patient, family members and relevant professionals involved. After the treatment plan is finalized, a care plan will be created to evaluate the ability of the patient to live independently throughout the time of care. As simple of a matter as this would seem to be, it should be handled properly on a case-to-case basis. For example, if your elderly loved one is suffering from Alzheimer’s disease or needs professional care at home, time is needed to gather medical supplies. In addition to that, transport arrangements from the hospital as well as professional care service require time to be established. Another issue with ensuring a proper discharge date is set is that some hospitals have a higher demand for beds, therefore, patients who no longer need hospital treatment are required to vacate the bed as soon as possible. Matters related to the discharge of your elderly loved one will usually be coordinated by a key worker in the hospital. A key worker is someone who plays a vital role in the healthcare service and usually refers to the nurse taking care of your elderly loved one throughout the hospital stay. Nurses are often the key worker as they play a pivotal role throughout the discharge process as they are the ones who actually monitor and keep track of the patient's progress before, after and throughout their hospital stay. Reablement is another term for recuperation or recovery after being discharged from the hospital and may require specific life changes temporarily. Usually, a recovery team will keep track of your elderly loved one’s transition of lifestyles from the point of discharge with some form of consultation from a liaison nurse, discharge coordinator or an assessment officer. 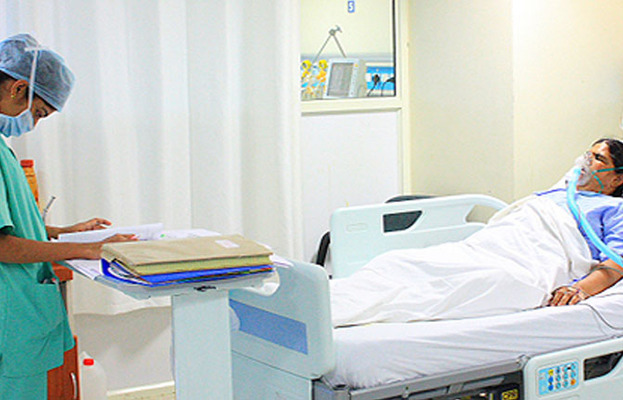 A clear set of requirements will be established through the recuperation and discharge plan. The rest of it is up to your elderly loved one and your family to decide how to provide the necessary needs to allow the best form of recovery. Nowadays, with living expenses rising, most families have started to opt for having fewer children in the house or family members have moved around for work obligations. This makes it harder for family members to take care of their elderly loved one as even if there is no problem with the number of family members, most of them would either have daily responsibilities to carry out and would not be at home for a majority of the day. This leads to family members opting for in-home care or a nursing home as alternatives to this problem. However, by the end of the day, the final decision should come from your loved one as it is their life that will be affected by the choices made. Most families usually prefer getting private live-in care at home for their elderly because there is no need for their loved one to go to another facility as they can just be comfortable at home. Besides that, they are also able to continue being independent with no interruptions or restrictions to their usual lifestyle. Who will care for my parent at home? Usually a caregiver is assigned to care for and aid your elderly loved one at home and it is usually up to the family to decide if they want a live-in or daily basis caregiver. Caregivers can carry out light housekeeping and non-medical tasks such as keeping track of your loved one’s medication routine. Besides that, they also provide companionship and emotional support by aiding your elderly loved one in their daily routines while helping them maintain their independence. However, if your elderly loved one requires medical tasks to be performed on them on a regular basis such as wound dressing changes or handling of medical equipment at home then a nurse would be a better option to take care of them or working in tandem with the caregiver on an as-needed basis. With the unstable economy situation and rising cost of living in Malaysia, the majority of Malaysians are struggling to maintain certain aspects of their life. From the daily demands of work, home, family or from their own self expectations, anyone whether is it a working adult or a schooling child would find it stressful dealing with all these issues on a daily basis. In addition to that, as the years go by, the number of disabled, ill and aging people in the population increase due to numerous factors such as environment, health concerns and many more. This adds to the pressure of juggling daily activities while caring for said people in the family that may result in a physical or mental state of exhaustion if the family members try to bite more than they can chew. In-home care only requires you to hire a caregiver to take care of your elderly loved ones at home unlike nursing homes that require you to transport the elderly to their area for them to carry out their caregiving process. 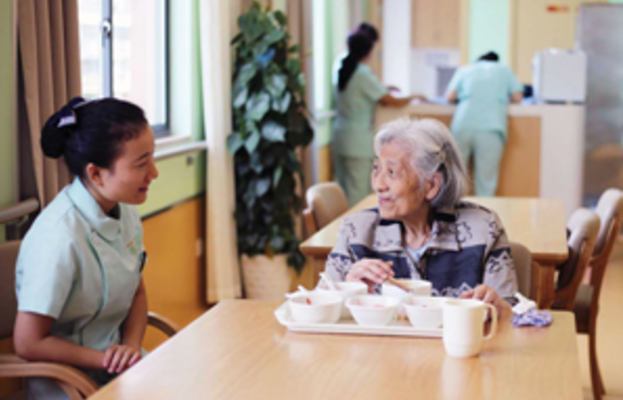 Therefore, in-house caregiving only requires payment for the caregiver’s services whereas nursing homes require payment for both services as well as facility maintenance. Having a caregiver that tends to the needs of your loved one at home helps to improve the well-being and recovery of your loved one. This is due to the fact that most of the elderly population would have the undivided attention of the caregiver therefore allowing them to pay attention to the finer details such as indirect habits or needs of the elderly. Moreover, in their own homes, the caregiver would not restrict the movement or activities carried out by the elderly but instead further assist them so they can carry out their daily routines with more ease and finesse. As mentioned above already, another one of the reasons why many of the elderly population prefer to stay at home is to be able to see their family members daily. This may help the elderly to recover from their illnesses as soon as possible as well as prevent any relationship strains. In addition to that, family members are also able to monitor the caregiving process as well as correct any mistakes the caregiver may make throughout learning about the elderly’s daily needs.